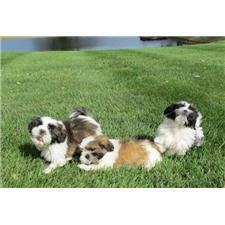 This Shih Tzu nicknamed Malone sold and went to a new family. 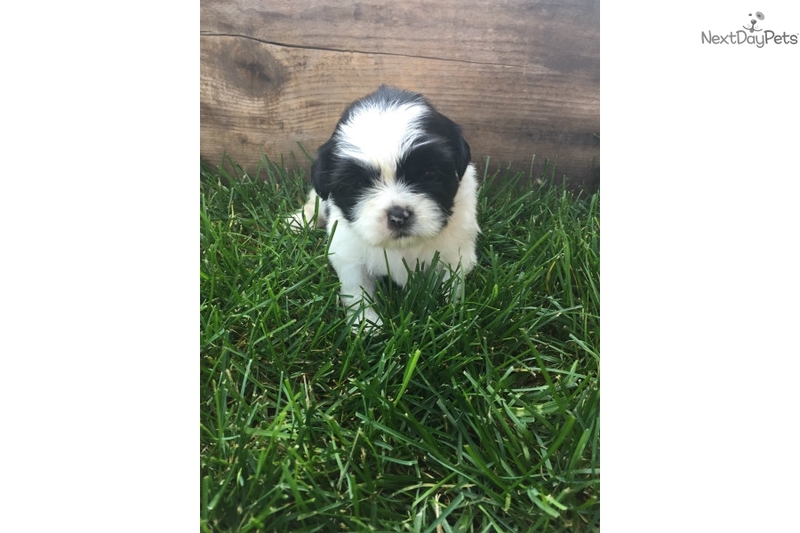 I had a new litter of Shih-Tzus born August 3rd, 2017. They will be ready to go home September 28th. The mom is black and weighs 16 pounds and the dad is a liver and white and weighs 11 pounds. I expect them to be in this weight range. All puppies will be CKC registered, up to date on shots and wormers, vet checked, and come with a 1 year health guarantee against contagious diseases. I start working with them on puppy pads around 5-6 weeks old.They will come with a pet carrier also. I require a $100 non-refundable deposit to hold one for you and the remainder is due in cash or money order when you come to pick up your new puppy. Contact me if you'd like to come see them or put a deposit down on one.